It is also 'Children In Need' fundraising time in the UK so I will re-word my e-mail to emphasise the fact that many sufferers of odour disorders are CHILDREN and that their social developments are seriously damaged by odour conditions. In the USA people are sending letters of protest about proposed cuts to funding for rare disorders. 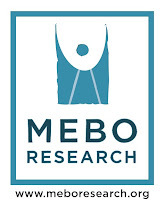 Please see MEBO Research website for the NORD letter being sent in protest to these cuts and take action! Our disorders are considered 'rare' and any research to help us will take place under the umbrella term 'rare disorder'.